Newcastle Fans have reacted to how Brighton somehow rescued a point at Brentford this afternoon. They were 2-0 down at half time and Brentford then went 3-2 ahead four minutes into stoppage time, but somehow the Seagulls came back to equalize at the death three minutes later. That’s almost like a team we know scoring two goals late in stoppage time to win a game 4-3 against Norwich. Who do the think they are – Newcastle? But we still gained 2 points on Brighton in this weekend’s fixtures – so we have to take what we can get. Not sure #nufc has the mental strength of #bhafc currently. Just hope the extra quality will be enough. Like Mourinho’s last season with Chelsea! Gee Singh, miserable eh? Well, we are only top of the table so yeah, plenty to be miserable about – you sad git. 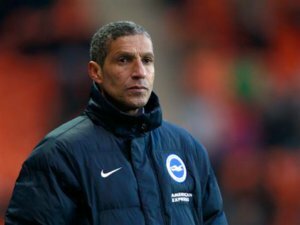 We have no divine right to win this league and regardless of what happens at Brighton – win lose or draw – nothing will be decided until May. We want this and we’re going to have to fight all the way to get it. Brentford are in the bottom half of the table and did well to get a draw. What it does show though, s Brighton are nowhere near as good when they’re missing one or two of their first team. We’ve retook top spot without our top goalscorer, who’ll be back on the bench at least next week. Our strength in depth starting to show. Maybe we need to find a way of nobbling Knockart (sp?) and Dunk for a few months. You know anyone who can make their glue ineffective? Nah, that’s darned unsporting but…..
Yesterday’s match now available on NUFC TV. So… providing we go up, and Palace go down, would anyone like to see us take a punt on signing Benteke? I still think he’d get goals in a team that created chances for him. We are going to need another cf, imo, and there are not many decent ones around who i can see being available. He’ll get the boot if they get beat next Sunday Lesh – away to Swansea. I think it’s a home banker meself. It would be extremely harsh but the money men will be making that decision. All those new contracts in the summer. Danny Drinkwater on 90 grand a week apparently. I’m sure Wes Morgan and Mark Albrighton are on equally ridiculous money. They don’t want to end up in the championship stuck with players like that on huge wages. They’ll have no chance of getting rid of any of them. Swansea look a better unit than Leceister on today’s showing. Swansea were organised a retained possession. Leicester looked lifeless and disinterested. You’re coming round to Ashley’s way of thinking bonny lad. Best go see your doctor before it gets worse! I think I was being generous to him by adding on the end of a post that he looked nowhere near match fit, Moonraker fairly queried this, saying he can’t get match fit when he’s not had a run of games. I would rephrase, and say he was even slower than normal, not getting around the pitch at all. Unfit, possibly out of condition was how he seemed to me, never mind match fit. Between Murphy and Mitro, it’s Murphy who’s comfortably ahead now in my opinion. Thing is, I would prefer to see both him and gayle together. Imo, Gayle would be just as dangerous playing in the no.10 spot behind Murphy or mitro this season, and Benteke next season. Diame for me should be sitting in mf next to shelvey. Wont happen mate we arent going to play 2 up top and why would Rafa pull his free scoring striker further away from goal in favour of putting a lad who doesnt listen to him closer to it? Should be pretty close if he has had a week in training, but they say hamstrings need nursing carefully! Lesh, no need mate. The season will take care of that. They’ve lost when Dunk has been suspended and Knockeart has an off game. As good as Knockeart is, everybody has bad games from time to time. He was poor at Huddersfield and their attack struggled to make an impression. The longer the season goes on, he’ll start to tire even more. That’s why teams fade off towards the end; relying on the same eleven all season takes its toll mate. Cheers. May see him at some point against Wolves then. Shirebrook, he should be on the bench at Wolves I believe. Rafa said he was nearly ready for yesterday but didn’t want to risk him. He might get 20-30 minutes next week, then probably start against Villa, as long as nothing breaks down between now and then. would anyone take Zaha from Palace or Puncheon? Zaha could be worth a punt, he had potential and is more of a winger than Gouffran. If we’re going to keep Mitro beyond the summer (I think we should) then we really need to have singers who can put a ball in the box which we’re lacking at present. I suppose singers who can cross would be fine? Come the Prem, lots of things will have to change, and even in the Championship, it’s clear that we don’t have a great Plan B – things did not go well when Shelvey was out and when Gayle was out. I’m definitely not suggesting we make Mitro the focal point of our team, but we are going to need something other than hoping we can beat teams on the counter next season so we’ll need some other options. When teams setup, even Championship-level teams, to give us the ball but deny us clear opportunities we have real trouble scoring so having something coming in from the wing would be useful next season. Just my thoughts but I think we’ll need another dimension and having true wingers is one way to go about that. I’ve always liked Benteke and would take him in a heartbeat next year. Will depend on cost, wages, etc. but I’d love to have him as he’d be a good different option than Gayle and a proven Prem scorer even in teams that aren’t providing lots of opportunities. Ok lets go with your no on Benteke. Who would you like to see come in as a no.10? We don’ really have one at the moment, and as I say i’d like to see Diame in a deeper role along side Shelvey. On Zaha, i’d say yes if Yedlin doesn’t work out for us, but if Yedlin becomes consistently good, then we don’t need Zaha. Nice to be talking about PL but I’d rather wait. I wonder how much Joe Hart would cost if we sold Darlow and krull in the summer ?? Am confused why the Zaha Yedlin link though? RB vs RW?